Today, we are happy to officially announce, that we are creating a dedicated category on the blog on all things WEDDING FASHION. In this new category, we will develop exclusive content that will focus on wedding style ideas for brides, grooms, the entourage, and even the guests. So stay tuned, rebels! Exciting times ahead. 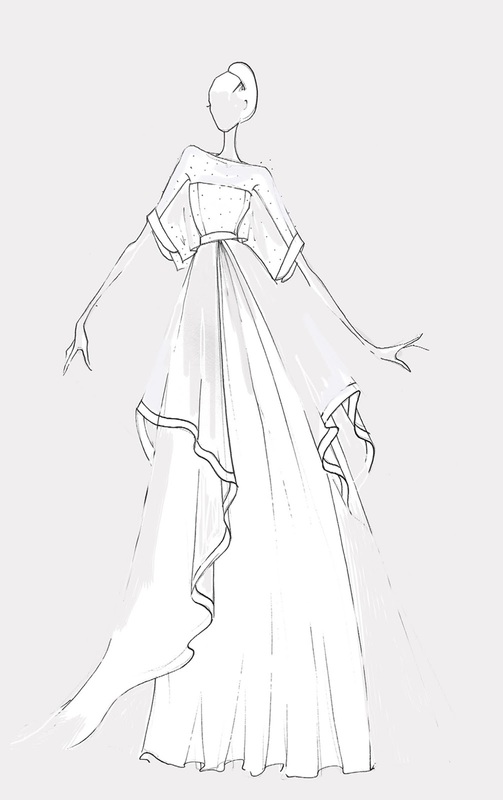 And what could be a better way to introduce this new category by finally publishing, our long overdue designer spotlight on bridal gown designer, Poppy Dover. Shall we begin? 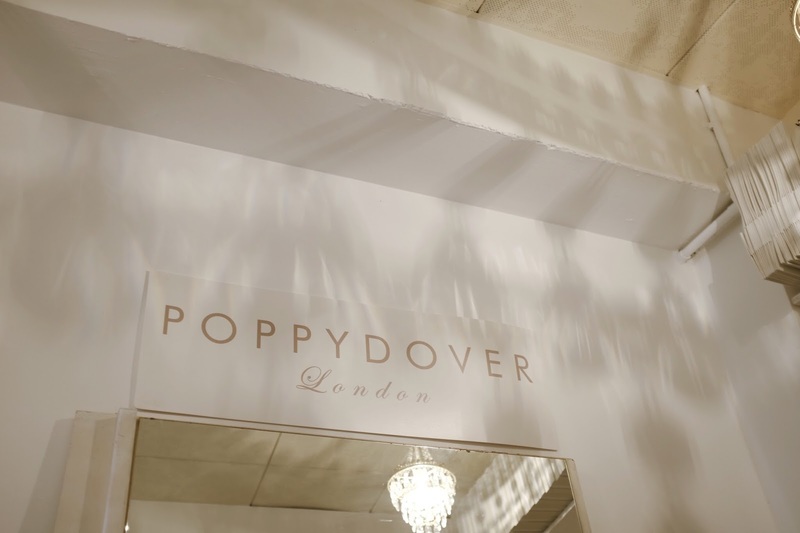 “Quietly Eccentric” is how London-based designer, Poppy Dover describes her bridal design philosophy. And we couldn’t agree more. We visited Poppy in her shop in London a few months ago. We actually planned to have an editorial shoot with her. But the Holiday season was in full swing, and it was rather difficult to put together a team that would be available to do the shoot. So we thought of doing a designer spotlight instead. And we’re actually glad that we did. 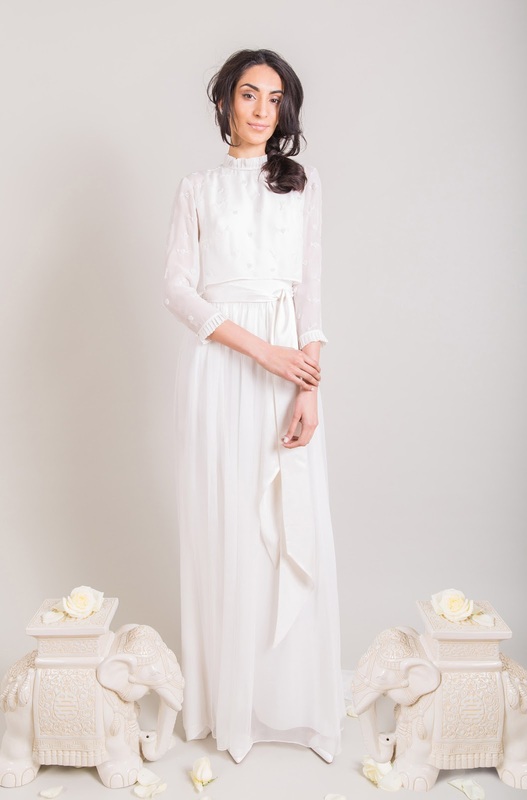 Because talking to Poppy in her creative space really gave us a perfect understanding of how exactly, she is trying to break the standards of bridal wear in her own way. From the minute you step into her shop, you will immediately get a sense that you are in no ordinary bridal shop. You will not see any gowns at all. At least not in the way that you expect it to be. 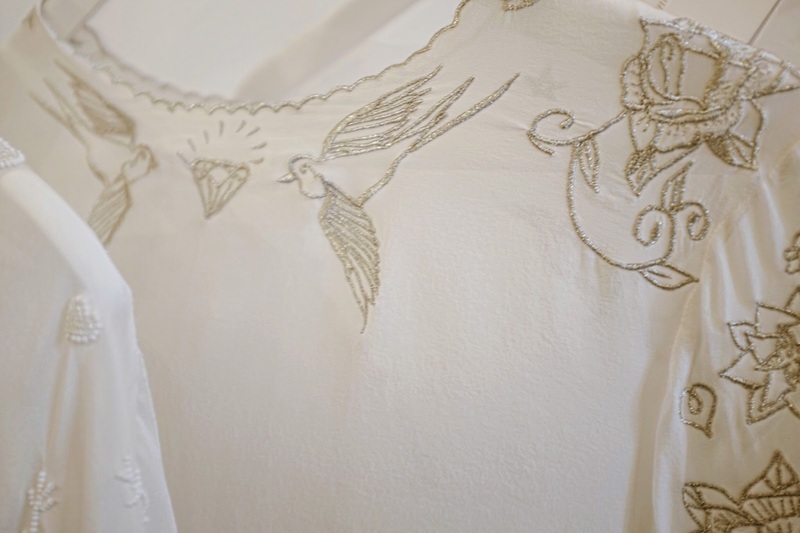 Instead, you will get immersed into an interesting array of handmade tops with intricate details like that of a storybook. 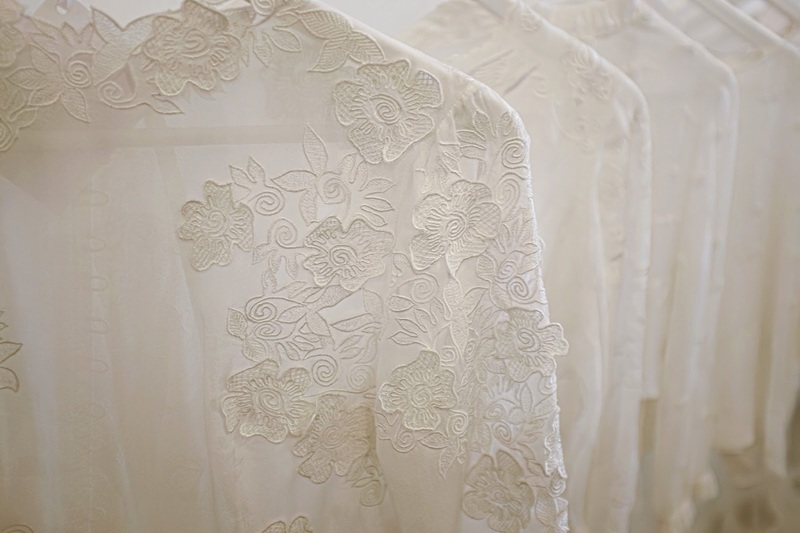 From embroidered stars and moon, to her signature heart-shaped detailing, to even the monogram of a bride and groom. 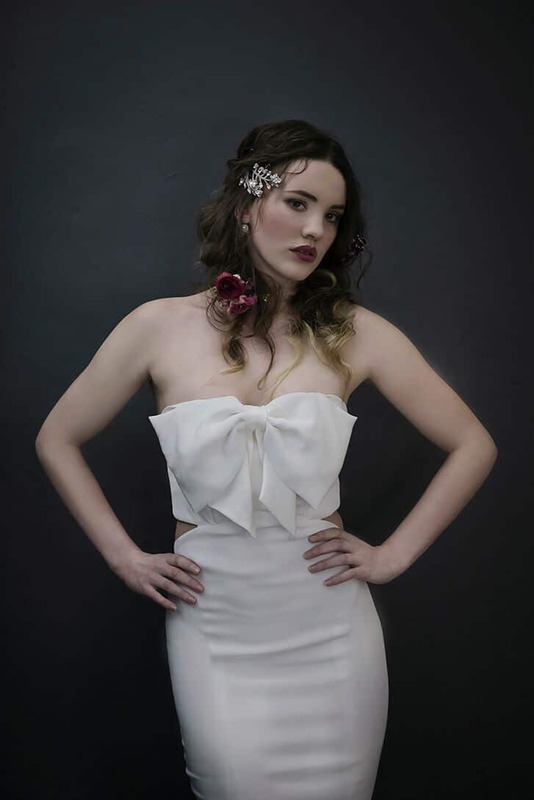 This is the kind of bridal wear she crafts in her own mind, heart, soul, and hands. So where is the rest of the gown? Her idea of a gown is actually clever—it’s about layering. The final bridal look is one that the bride herself makes. She can choose a top, then a dress that can go under that top, or she can pair it with a skirt, or further layer the skirt with another wrapped skirt. She can choose to get the complete look from Poppy, or she can even choose to get a few key personalized pieces, and mix and match it with her own wardrobe. It’s a fantastic and rebellious idea, to be sure. It’s no surprise that Poppy has the imagination and skills to think of something this innovative. After all, she has worked with luxury fashion houses such as Max Mara in the past. 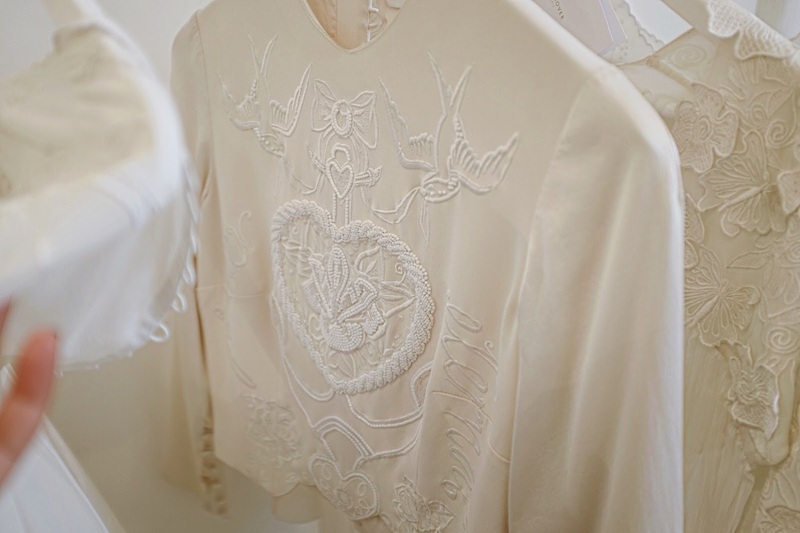 She has used her purchasing experience to source out the highest quality of fabrics in Europe and uses the technical skills that she learnt in making the highly personalized embroidered details that she creates for her own line. The result is a magical mash-up of the old and the new. Postscript: After our little chat with Poppy, she has since launched a new collection which adds color into the mix. She really is our kind of designer, don't you agree?